Whether you believe it or not, metal is fairly common in video games. You gotta hear it to believe it. Let's take a look. 1. 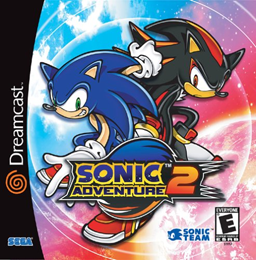 Sonic Adventure and Sonic Adventure 2 (Sonic Adventure DX Director's Cut and Sonic Adventure 2 Battle for the Nintendo Gamecube) both feature a slew of great hard rock and metal tracks. While numerous artists were chosen for the soundtracks (not only limited to metal/hard rock), the one that stands out, in particular, is Crush 40. The band is home to Johnny Gioel, vocalist of Axel Rudi Pell, and accomplished guitar player Jen Senoue, both of whom have considerable experience in the metal and hard rock world. Without Sonic, I'd wager Crush 40 wouldn't have the level notoriety they're current enjoying in Japan and other countries. The tracks featured in both Sonic games are a little bit reminiscent of melodic heavy metal ala Pretty Maids, Fifth Angel, and some hard rock bands. This music takes me on a trip down memory lane. I logged countless hours into both during my middle school years (still do sometimes), so the music will always be etched into my brain. I have the actual soundtrack to Sonic Adventure 2 as well, so... It's too bad the Sonic games that followed have really been a let down music-wise and gameplay-wise. 2. This next one is essentially a given. 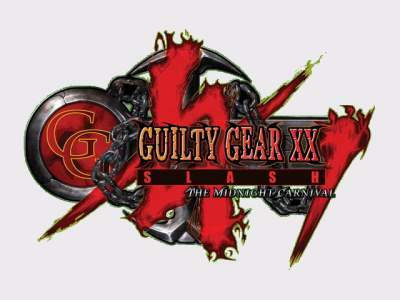 The Guilty Gear series has always been home to skull-bashin' metal tracks, which is quite fitting, as the games are of the fighting genre. What surprised me the most is the classical influence that many of the tracks have. It's not something I would have expected from a video game's soundtrack, let alone a movie's, and because of that, it's pretty slick. Subgenre-wise, the songs almost always have a heavy power metal influence. I've only played one Guilty Gear game for the Nintendo DS, but I plan to try out the others as soon as possible. It's odd to say I've heard the soundtracks before I've actually played the games. 3. Metal Saga is a bit of an oddball. The game takes the mentality of an old school RPG, with no boundaries, no rules, no guidance--no nothing. You often have little idea of where to go next or what to do. I like that in a game, but that's beside the point. You're probably thinking, "If the game's called Metal Saga, it must be pretty metal, right?" Kinda. There are certainly some metal-inspired tracks, but the music roster features a large array of genres from metallic stuff to piano-centric pieces. "Battle with the Wanted" (also titled "Wanted Person Battle" or simply "Battle") is featured nearly every fight. It's adrenaline pumping and perfect for when you launch a couple rounds from your tank at the enemy, blowing him to smithereens. Metallic music + tanks, planes, and even a dog with a gun mounted on his back? Awesome.